Some of the greatest challenges that we encounter as researchers involved in primary data collection lie in tackling inherent biases in self-reported data such as respondent bias, enumerator bias, and recall bias. This blog series deals with one of the ways in which we, at the KGFS study are exploring the potential to reduce such bias by utilizing creative survey instruments and design. One of the more particular objectives of our project aims to evaluate the impact of access to finance on agricultural practices and identify robust methods of collecting self-reported data on agricultural input usage in order to do so. Non-availability of the specific person in the household in charge of certain productive activities at the time of the single point survey. Non-measurement or usage of non-standard measurement units. Social desirability bias, especially in answering questions about wages, fertilizer use etc. Following multiple schedules and practices such as intercropping and sharecropping, make it difficult for farmers to single out the inputs and productive expenditures that go into the cultivation of that particular crop unit in question. Questionnaires in most studies are administered at one point in time and test recall of expenses or usage over the entirety of the last completed season (which could entail a large recall period of over four months, depending on the crop schedule and the lag at which the survey is conducted). 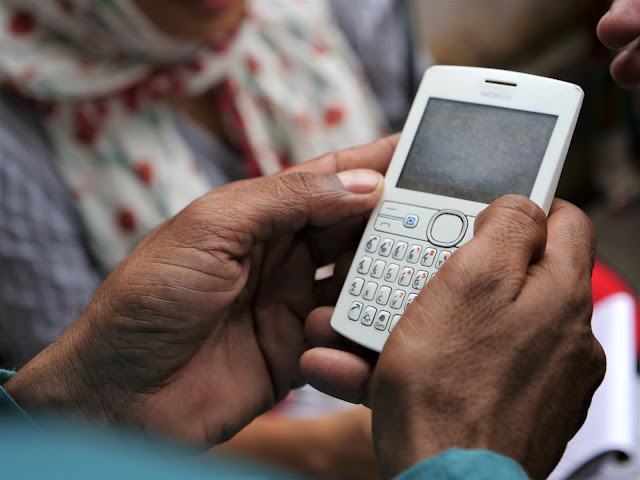 Most small-scale farmers do not meticulously track their expenses and usage and are more prone to being spontaneous spenders and users. Due to the highly specialized nature of agricultural practices, inadequate training of survey staff on the various aspects of cultivation and common terminology causes them to overlook presence of unreported or wrongly reported data. 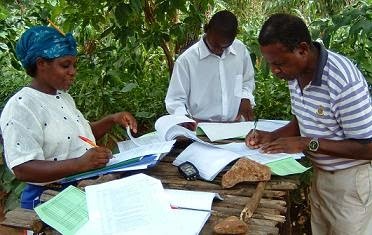 The standard multipurpose household survey used to obtain farm-related data is thus prone to large measurement errors that undermine its usefulness in agricultural analyses. Additionally, prohibitively high costs of making repeated visits to collect periodic data and administering customized treatments present a trade-off between data quality and scale. However, there are several follow up survey instruments that enable researchers to reduce recall periods by maintaining continuous contact with the respondent over a period of time while not having to bear the high costs of revisits. Such instruments include a) Mail surveys, b) Online surveys, c) Group Administered Surveys, d) Telephonic interviews (or Computer Assisted Telephonic Interviews, CATI) and several other mixed mode surveys such as Interactive Voice Response, Audio Computer-Assisted Self-Interviewing. A commonly underutilized survey methodology that we have chosen to administer on our pilot sample is a Diary-based survey. A diary based data collection instrument is a self-administered document that necessitates reporting within a specific time interval or as and when certain events occur. Diaries have been used in a variety of domains including health, psychology and economics and most popularly to record consumption expenditure in studies such as the World Bank’s Living Standards Measurement Study (LSMS). Their potential in recording production data in agriculture (through what are referred to as “harvest diaries”) is slowly being realized. Traditional pen and paper diaries are also the most natural way of recording information among those unfamiliar with technology or residing in areas where use of technology is infeasible. For our study, we have decided to explore the potential of using harvest diaries to record the quantity and value of inputs employed by paddy farmers in our study areas in rural Tamilnadu during the ongoing paddy season, locally known as “samba”. Over the next two posts, this series will share our experience in designing a diary based follow up and the lessons we have learnt thus far.